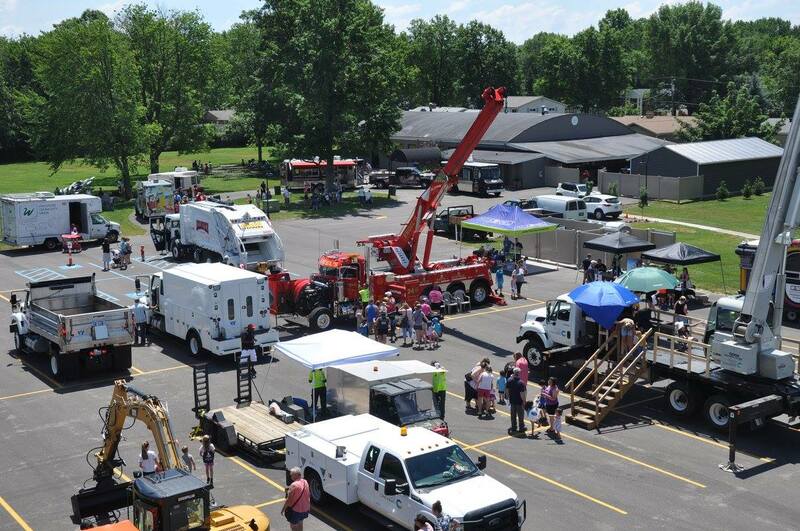 Springfield Township's annual Touch A Truck brings over 50 service, construction and luxury vehicles to one place on Friday, June 21st! Kids can climb aboard, honk the horns and meet the workers!!! It's always a great event to bring your camera!! Families can look forward to seeing the Springfield Township Police, Fire and Public Works, Cincinnati Metro, Metropolitan Sewer District Of Greater Cincinnati, Duke Energy, Jimmy's Limousine Service, Hamilton County Emergency Management and Homeland Security Agency, Waycross Community Media, Greater Cincinnati Water Works, Great Parks of Hamilton County, UC Health - Air Care and Mobile Care, Animal Friends Humane Society with pets for adoption, UPS, Cincinnati Children's Hospital Medical Center and MANY MORE!!! Some food trucks will be on site to sell lunch concessions. *Parking is at a premium and it is advised to carpool if you can. Parking is in the neighboring mall lot behind US Bank. Front lots and the main Brentwood Bowl parking lot needs to remain open for customers of these businesses.